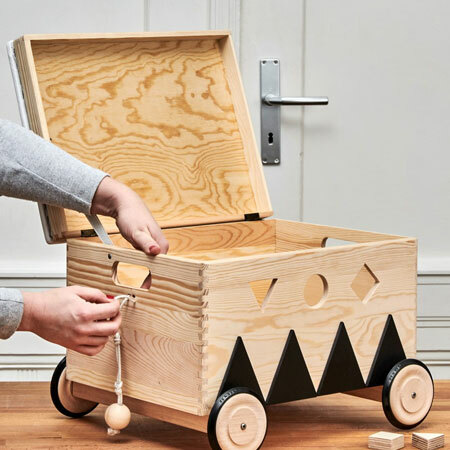 Your little one will have lots of fun with this mobile, pull-along toy box. 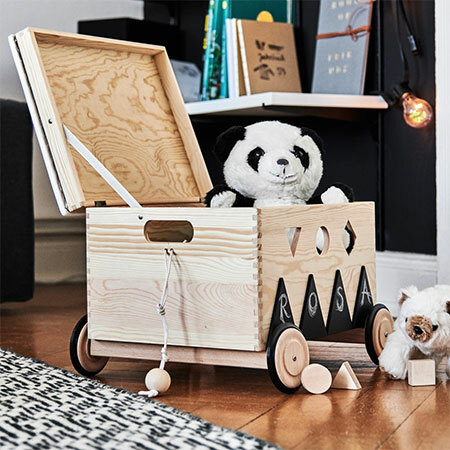 The toy box has rollers (or substitute with wheels or castors) to let your child get creative. GOOD TO KNOW: As an added learning project for your child, cut out shapes that can be slotted into the front cutouts and let your child learn about shapes while having fun. 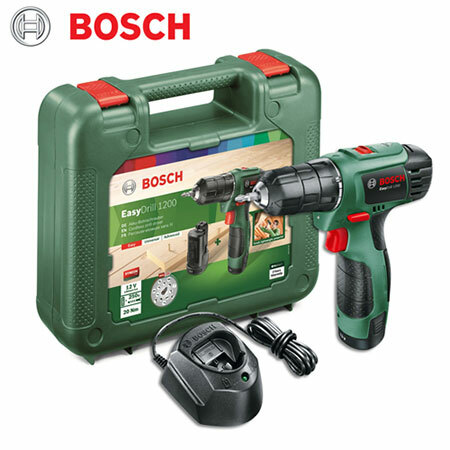 Bosch EasyDrill 1200 Cordless Driii/Driver is priced at around R1500 and offers intelligent control of energy, zero-memory effect and compact design. 1. Make up a basic box, with lid, using 16mm plywood or PAR pine. 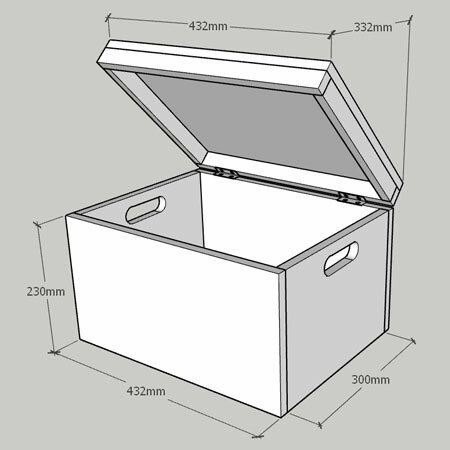 Use the measurements shown in the diagram below to assemble the box. Don't forget that you can have all your pieces cut to size at your local Builders Warehouse for easy assembly. 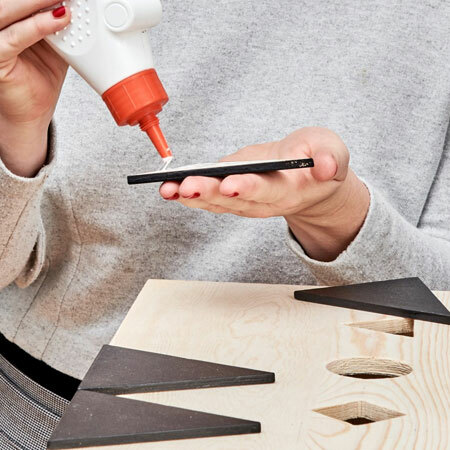 GOOD TO KNOW: If you use Shutterply to make the box, be sure to sand away any imperfections before assembling the box. 2. 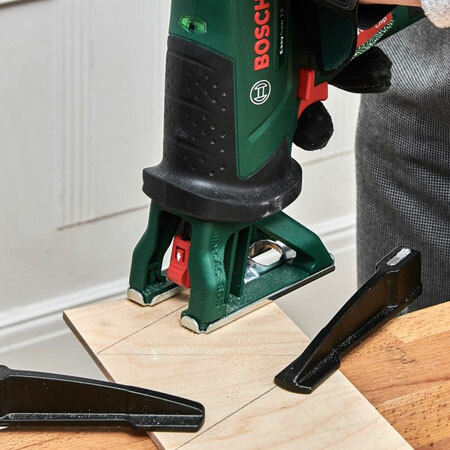 Clamp the box to your workbench in order to drill a hole through the front panel of the box. The front of our box has a triangle, circle and square shape cut out. You can vary this if you wish. 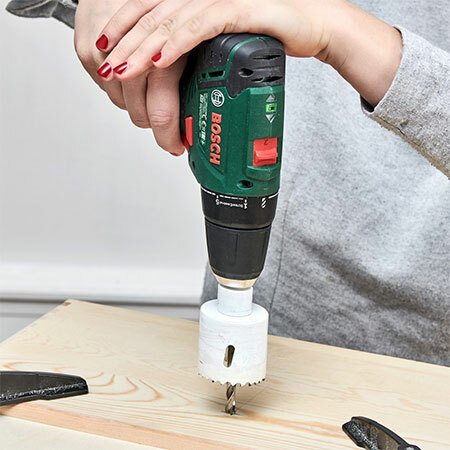 When cutting out the square and triangle shapes, drill a 10mm hole within the shapes in order to insert your jigsaw blade to cut out. 3. Use scrap wood to cut out the triangle shapes that will be glued to the front of the toy box. Sand all the cut pieces nice and smooth. 4. 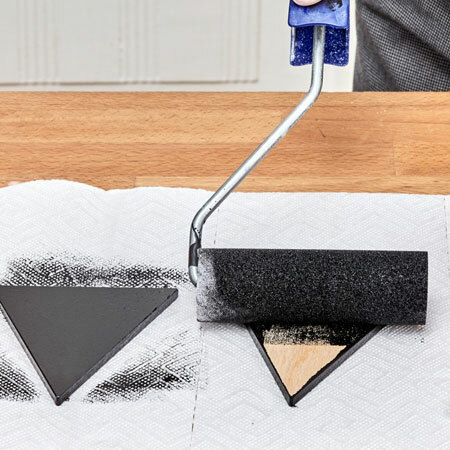 Apply two coats of chalkboard paint to the cutout triangle shapes. Allow each coat to dry thoroughly before applying a second coat. You don't need to paint the back of the triangle shapes. 5. Use wood glue to affix the triangle shapes to the front of the toy box, lining up the edges at the bottom. 6. Now you are ready to attach your choice of wheels. We used a wood wheel on a shaft to create this mobile toy box. 7. 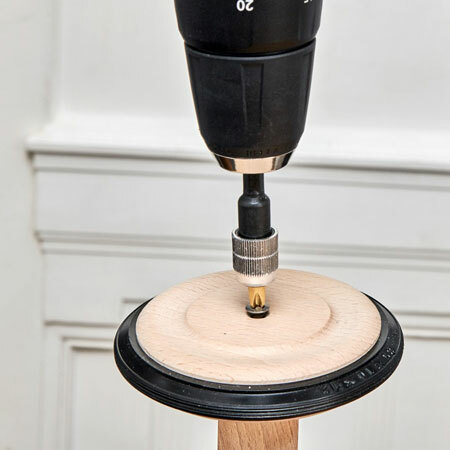 Finish off your mobile toy box by drilling a hole and adding your pull-along cord.